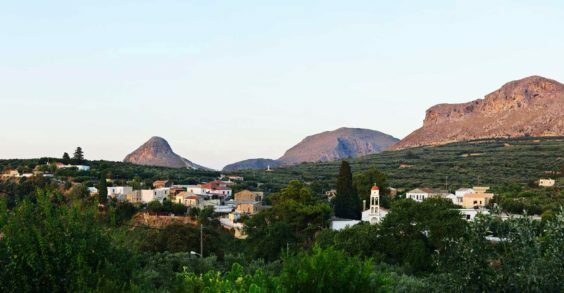 Rokka is a semi-mountainous village, with approximately 30 permanent residents, in western Crete. 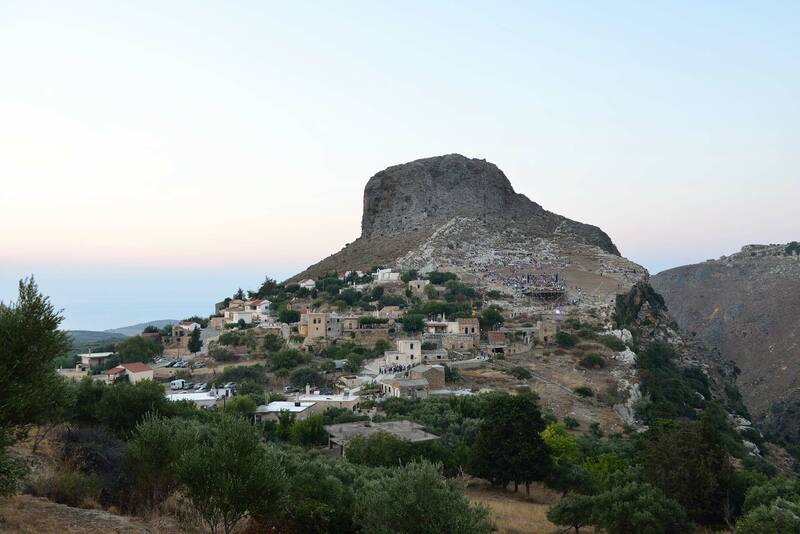 In the archaeological region of Rokka (coterminous with the modern village) and the acropolis Troulli, you can see still see remains of the ancient settlement, such as the homes, the paths, the watertanks as well as the byzantine fortress that loomed on the hill. 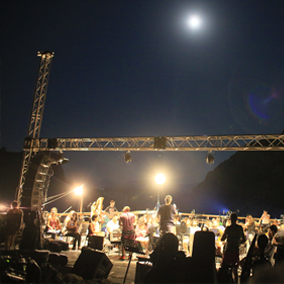 The amphitheatre-like view of Rokka, the natural beauty of the gorge and the energy of the surrounding rocks make this archaeological area unique setting it apart from all others in Crete. 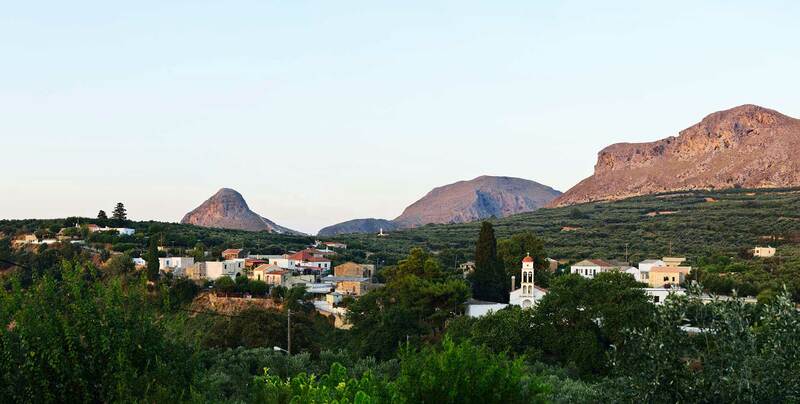 Kera is located 12 km southeast of Kissamos and has about 30 permanent residents. The etymology of the word Kera has not yet been established. Although some might argue, there is a still unconfirmed claim that the ancient city owes its name to Polyrhenia allied city of Kerea. The village is a crossroad of history, tradition and natural wealth. 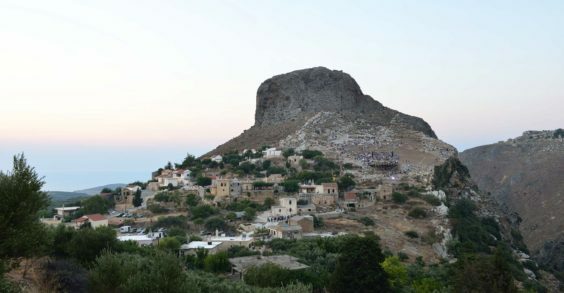 The stone sculpture of Antonousas Kastanakis, the brave warrior of the 19th century, crafted by the distinguished sculptor Aspasia Papadoperakis, towers over the square of the village and testifies to its struggles. “Plakoura”, the old village settlement,the water mill, the forest with the waterfall and the caves with the stalactites constitute a unique and beautiful scenery. 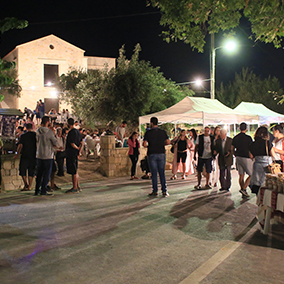 Since the beginning of Giortes Rokkas, the cultural association of Kera “Antonousa”, is the most prominent supporter because of the brotherly ties between the two neighboring villages. This year, Kera turns into a big stage that that hosts artistic and educational activities dedicated to theater and the visual arts. 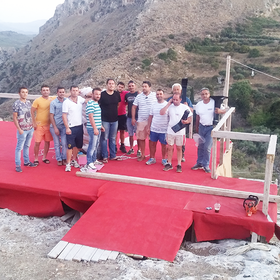 The archaeological site of Rokka was not utilized until 2012, when the preparations for the first year’s eventstarted taking place. This fact, along with the village redevelopment operations in 2015, motivated the residents to become more involved and the younger generation to return during summers and open their homes, giving a boost in local tourism and turning the area into a point of interest for visitors throughout the year.